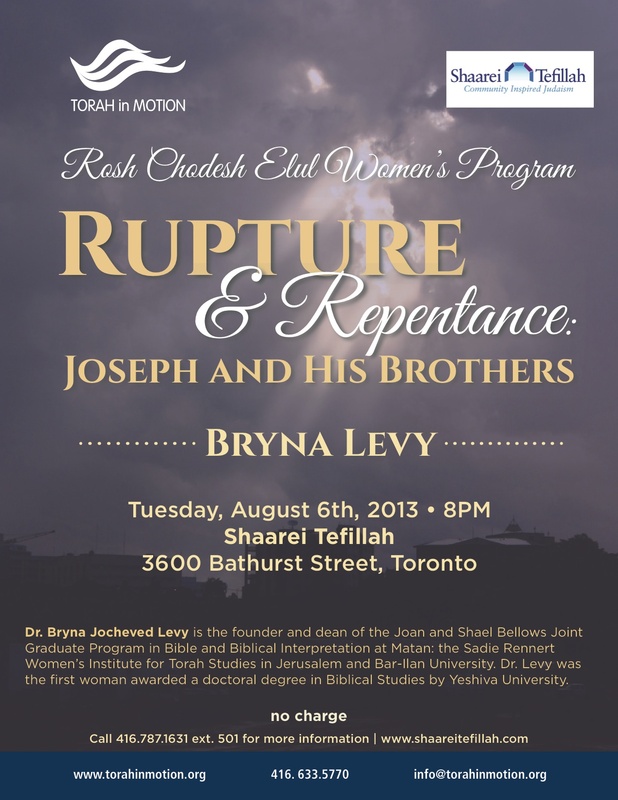 This special Rosh Chodesh Elul women's program is jointly sponsored by Torah in Motion and Shaarei Tefillah Congregation. Dr. Bryna J. Levy analyzes the story of Joseph and his brothers for lessons applicable to Rosh Hashanah.